Looking for a plastic surgeon with the best reviews from real patients? "Just over a year ago you performed surgery on my ears to correct a telephone ear deformity resulting from an over done set back with another surgeon. I’m sorry for taking so long to write, but I thought I would be patient and give plenty of time to heal before sending a thank you letter. After what was a difficult time for over a year following poor result of my first surgery, I felt relief during my first appointment with you. I felt that you took care to assess me psychologically and physically, and truly understood my circumstance. During my stay in the hospital for surgery I could also see your extensive understanding and passion for your work, and thank you for the many hours that you spent working with such skill and care. You showed me some photographs from during the procedure that amazed me. I also really appreciated you looking after me so well following the procedure, along with the brilliant nurses who were completely professional and also showed me a great deal of kindness. Now that I am healed, there is not a day that I don’t feel a great sense of relief thanks to your work. 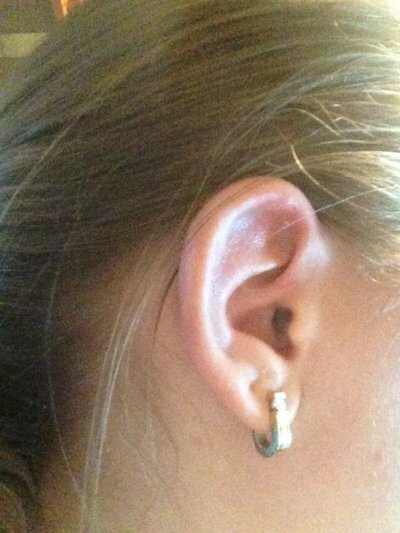 I love my ears now, which is something I never thought I would be able to say. I don’t ever feel conscious about them and this has really made a great positive impact upon my life and confidence. Thank you so much for everything." As a child, I had been called Dumbo or Spock on account of my large pointy ears. My ears were also not same shape and the conchal bowl was much more prominent on the right. There was also a Darwins turbercule on the rim of the right ear. I had no previous treatment. I consulted two surgeons before David Gault, both said the surgery was very difficult to change the shape and conchal prominence and were unable to make my ears smaller, but failed to mention that ears can be reduced in size, which I was unaware of at the time. As the surgeons weren't confident, I decided to consult David Gault, a specialist in ear surgery and the inventor of Ear Buddies. I went to the Clementine Churchill Hospital (BMI) in Middlesex, it was very easy to access (away from centre of London). As I found out, the op could be done under local anaesthetic so I could drive there and back the same day. I agreed and booked the first surgery. I was very anxious on the day of the surgery but Mr Gault was so understanding and compassionate and took the time to speak with me after the surgery. One week later the head bandage was removed and i was thrilled to see that my ears were much smaller and less pointed. They were also much more symmetrical and i could tell the right ear had been pinned back. Mr Gault confirmed there was no need for a second surgery so the total cost all-in turned out to be £5.5k (the hospital gave a discount on the hospital fee. In every sense, he had under-promised and over-delivered. I had saved 3k and the inconvenience of a second surgery and my ears were 12.5mm (not 10mm) smaller which was a bonus. I had one tiny retained suture that worked its way naturally out of the ear after 3 months. I am so thrilled with the result. I may have paid £5.5k to David Gault for the surgery, but it is me who will be forever in his debt! I would like to start of by saying a massive thank you to David, he has literally changed my life, I have had a ear re shape to make my ears smaller in shape under a local anaesthetic at the clementine Churchill hospital in London, I would also like to mention the nurses that was present during the surgery also helped massively they was lovely and kept me at ease throughout the procedure, you can tell David Gault takes great pride in his job and is a very talented surgeon, I couldn’t believe the difference in my before and after neither could my friends and family, my experience was excellent and definately worth the travelling distance I am over the moon, once again thank you. When I was 10 my parents got my ears pinned back. The surgeon who did the operation must have made a cut in the wrong place and my large Dumbo ears were now stuck to my head, pointing at the top and sticking out together with lobes. I looked like Mr Spock and was called this. A year later I saw another surgeon who said he could not do much but a minor modification. It made little difference. I was told for years there was nothing I could do. At age 27 I discovered David Gault. He said my ears were very difficult to operate on but would have a go. Over the course of 3 operations he had 1. brought my ears out, 2 refined the top and lobes and 3 most importantly reduced the size of my ears. Noone makes any bad comments about my ears anymore. This man is an artist and changed my life. I'm 40 now and so grateful for what this man did. The artistic eye of this man cannot be overstated. 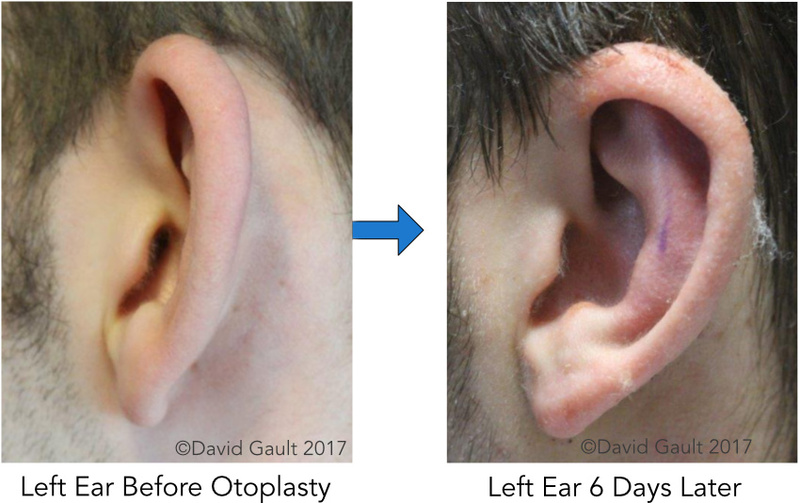 I came to Dr Gault, after I had a severely overcorrected otoplasty with Dr ******** in 2015; the middle portion of my ear was pulled back creating telephone ear deformity aswell as sharp edges on the concha and unnatural contours. I gave Dr ******** three chances to repair the damage but his skill level was just too mediocre. **** ******** had removed too much skin and over folded the cartilage to such a large extent, that Dr Gault had to replace the skin using complicated flaps, skin grafts and costal cartilage. I was very anxious about the results because I knew that it would be a very involved surgery with a slim chance of success. The surgery went so smoothly I was genuinely shocked. The chest scar seemed quite large at first, but the pain in both ears and chest was not nearly as bad as I imagined it to be. When the bandages came off I was both taken aback and pleasantly surprised. The telephone deformity was clearly gone, but they did seem swollen and large. A week passed and I could see how truly AMAZING the results were, way better than I had imagined! And dare I say, maybe even better than my original ears. 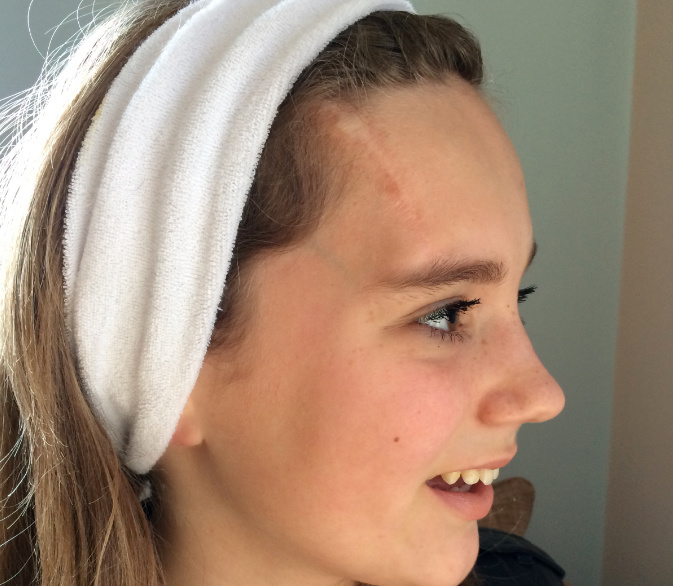 The scarring behind the ears is a lot, but it is to be expected, after so many surgeries. I had put off writing a review out of fear that the ears might relapse, but I am now on my third month post op and they just keep getting better. "In my opinion, best ear specialist in the world." There is a lot of talk about Dr Gaults attitude and arrogance, and it isn't without an element of truth. He is a bit cold and sarcastic - I actually enjoyed his blunt and to the point demeanour but can understand why some softer people may require a bit more affection in such a difficult time. But I was not looking for a best friend!!! I was looking for an outstanding surgeon who could deliver the results. And boy did he deliver. One thing I have learned after so many traumatic experiences from poorly skilled surgeons is that they will always try to gaslight you!! Do your research if you are dissatisfied with the result and something in your gut tells you the result is off. And secondly, price with regards to surgery is actually a useful barometer for skill. Good surgeons can afford to bump prices up. Simple as that. Dr Gault is extremely expensive , granted, but I do not regret spending one penny.. The impact it has had on my confidence has been priceless, it has to be seen as an investment. Like a home, you don't want to buy cheap and you will live in this skin for the rest of your life. I'd like to publicly thank David for saving me from such a dark and paranoid period of my life and allowing me to resume my life feeling like a normal person and not a botched mess. 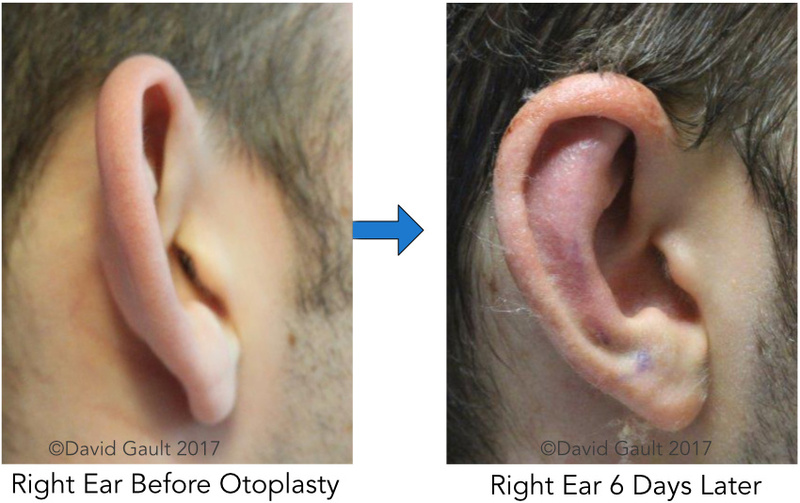 If you have an over correction issue with your ears, or are seeking otoplasty PLEASE stick to an ear specialist like Dr Gault. Don't even bother going to anyone else. As many people will say, this is something I wanted to do for many years, in fact since I was seven years old. After many years of deliberation and also have the money to do it, I am embarked upon extensive research. All of it pointed towards Dr Gault (London, UK) being a world leader in corrective ear surgery. I visited him and although he has a very dry sense of humour he is clearly very talented. My advice at this point is that you need to relax and totally trust Dr Gault, if you are highly strung, his approach will not suit you. You pay a premium to have surgery with him and I saw prices that were half as much, I would strongly suggest that you get what you pay for. Stating the obvious your ears are very prominent and you really want it to go well. Dr Gault mentioned that he spends a good proportion of his time fixing failed Otoplasty procedures. "Fantastic in every way, the guy is an artist!" About the procedure: I will keep this brief; the first two days are tough, the pain was immense. The bandage is also extremely uncomfortable and needs to stay on for seven days. I was very nervous going back but to say I was pleased with the result would be an understatement. It made me look completely different, and I was very pleased. You need to wear a headband at night for six weeks. About eight weeks later I had a slight recurrence on my right ear, it 'popped out' to be around 7mm more than the other ear. I waited six months though before going back to ensure the swelling had reduced. I went to see Dr Gault, he was very understanding and suggested that we have a revision procedure. 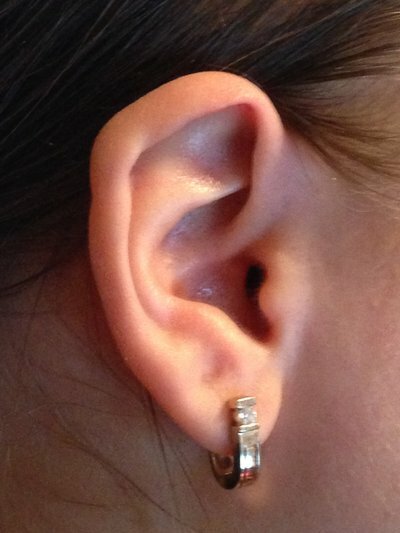 This was very easy, almost no pain and swelling and now my ears are perfect! In summary, I couldn't be happier and would highly recommend anyone considering this to get it done. But I would say, make sure you use a good surgeon! I had ear and ear lobe reduction surgery at The Wellington Hospital by Dr Gault and I couldn’t be happier with the results. The size of my ears had always bothered me from a young age so after doing some research I discovered Dr Gault’s website and was so thrilled to have my first consultation during which he reassured me that he could definitely reduce the size of my ears. I had my surgery in February 2016 and the following week I had my bandage and stitches removed; I was overwhelmed with the results. The scarring was barely visible and I experienced no pain; only 7 days post-surgery, my ears looked amazing and I couldn’t believe the difference in size from prior to my surgery. I couldn’t recommend David Gault enough, and the results have changed my life. Thank you all for everything. David is a great chap and has improved my confidence massively. Am actually looking forward to going swimming with my children properly for the first time without the worry of people seeing my ears. Very happy thank you all so much again. A big thank you to Mr Gault and his team for taking such good care of ******* and doing such a wonderful job on his ear, ******* is very happy with it. All our family and friends are amazed with the result. 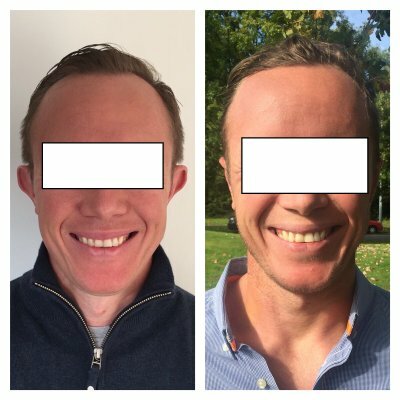 After twenty-two years living with an otoplasty which went horribly wrong, I finally found a surgeon who was able to fix it beyond my wildest expectations. Background: Both ears were overly corrected (too close to my head) and with completely different shapes. The right ear looked as if it was folded back with a ruler, in a straight line with no natural curve and the other a cauliflower ear (see photos). 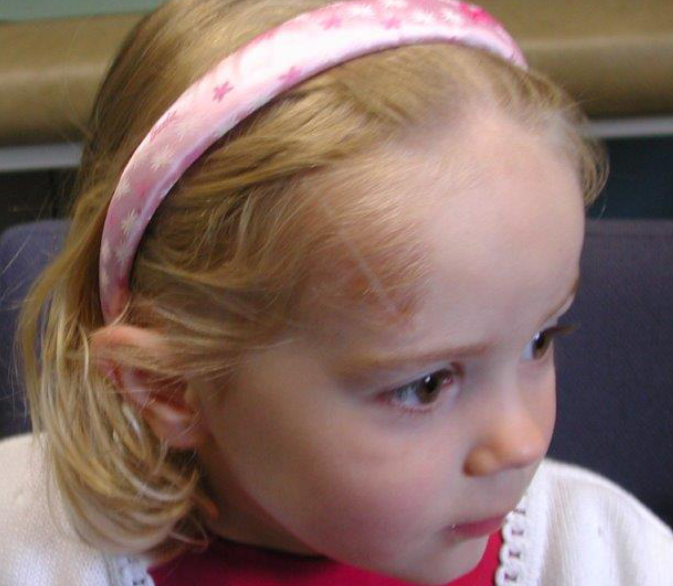 I had a follow-up operation a year later to correct the right ear, the operation made no difference whatsoever. As the years went by, I was still very unhappy. It affected my self-esteem and confidence. In almost every conversation I had with a new acquaintance, I would notice their gaze eventually drawn towards my oddly shaped ears. It happened very naturally, nobody was intentionally staring to make me feel awkward, people just couldn't help it. I decided that once I could afford to, I would find a world renowned ear surgeon and go for it one last time. After researching long and hard I came across David Gault, who is a master at what he does, I'm so glad I did. "I cannot thank David Gault enough for his truly amazing and life changing effort." Verdict: During my initial consultation, David Gault politely asked for my opinion, he immediately understood my concerns and then gave me his suggestions. He is to the point, friendly and has a great sense of humour. He agreed on what I wanted and suggested trimming the ear slightly in order to make it rounder and smaller, something I did not even consider (or thought possible). The procedure went very smoothly, I was placed under general anaesthesia and given the maximum possible care afterwards. The nurses checked on me every hour or so throughout the night. In fact, the whole process was done with the highest standards from the very start. At the booking stage, Mr David Gault's secretaries gave me excellent advice and were very well informed, they also deserve my sincerest gratitude. If you get a chance to come to London, then David Gault is the only person I can recommend. I've seen several surgeons mention having worked with him on their websites as part of their credentials. He is acknowledged (even among surgeons) as a leading expert on ear reconstruction. After the surgery: A week after the surgery, the bandages were removed and to my delight, even though still swollen, my ears looked normal for the first time in my life! I cannot thank David Gault enough for his truly amazing and life changing effort. I would like to say a sincere thank you to Mr Gault and his team for your excellent and expert service. As a parent, it is not easy to know what is the right thing to do. We tried to help ****** grow into a confident young man and to make his own decisions. When he decided he wanted to have his ears reshaped, we supported him and looked for the best way to do this, as he is precious to us. You have really delivered for him and us. It has been life changing for ******, he told us that though he was outwardly confident, he always, deep down felt people were judging him for his ears. He has a chance now to continue growing into the amazing boy he can be without that extra psychological baggage. Thank you so much Mr Gault! After years of suffering with large ears I opted for ear reduction with Mr David Gault. I had previously had my ears set back by another surgeon as they also stuck out. I was happy with my ear pinning surgery but I still had overly large ears with the right being larger than the left. Anyone afflicted with this particular problem will know how embarrassing it can be and how much of a negative impact it can have on your well being. "Mr Gault is very direct and to the point but has done a remarkable job of reducing the size of my ears and they are now a much nicer shape." After reading mixed reviews I opted to have the surgery done by Mr David Gault and am now very glad I did. The negative reviews were always in reference to Mr Gault's bedside manner but personally I found Mr Gault to be a very talented and kind man with a quick wit. Mr Gault is very direct and to the point but has done a remarkable job of reducing the size of my ears and they are now a much nicer shape. The scarring is minimal and barely noticeable and am very happy with the outcome of the surgery and have no negative comments to offer. The actual shape of my ear has always been fine, but they protrude unevenly, so I have considered otoplasty for 15 years. I have been put this off because of many online result photos showing ears pinned flat against the head, which I would consider a totally unsatisfactory result. Dr. Gault was recommended to me by another cosmetic surgeon I trust. After meeting him, I was immediately certain he was the man for the job - he is funny and clever, competent, and most importantly understands the aesthetics of the ear. He is one of the foremost doctors in this area, and performs serious reconstructions of ear deformities, so most certainly could handle my minor issues. "I would without reservation recommend him to anyone in the UK." The procedure took about 2-3 hours, performed under local anaesthesia, which is my preference. The procedure involved an incision on the back side of the ear, but no cartilage removal. Instead he sutured the underlying cartilage closer to the head. I believe this is a technique he created, and which has gained widespread use. Before bandaging me up, I was able to see the preliminary results, which were truly amazing. He was even able to bring the very top of my ear in slightly more than the centre, which I hadn't thought possible by this method, but which looks better than what I had initially expected and asked for.I would without reservation recommend him to anyone in the UK. I took my sticky plaster off this morning, all I have is slight bruising and swelling and an intermittently red area, no scar.... how did you do that?? Thank you so much! 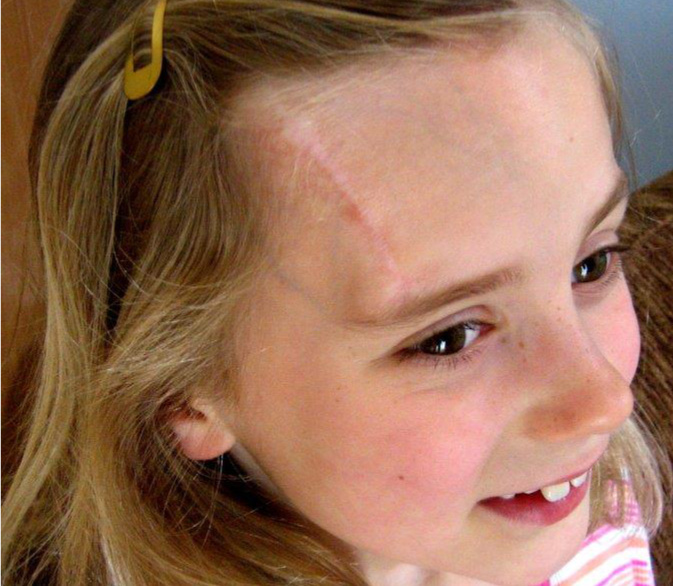 Just wanted to let you know how incredibly well my scar has healed and how absolutely delighted I am. Your handiwork was obviously amazing and to make the most of that I also I took your advice and invested in a tube of silicone cream. I had thought that at my age (54) I would not be concerned at having a scar in my cleavage (particularly given the life threatening nature of the condition) but in fact keeping the area under wraps for the last few weeks has been more awkward and limiting than I had thought it would be. Consequently I am very very happy and relieved that apart from the ecstatic news that all the melanoma was removed I can still wear my old tops without any thought or difficulty. I am still using the silicone cream twice a day and will continue to do so until the tube is finished - after that I will revert to bio oil. Very many thanks once again for your care, attention, and expertise, I am hugely grateful and of course actually rather delighted to be able to show of my 'décolletage' once more. I'd like to add a brief review about my experience undergoing ear reduction surgery with Mr David Gault in the UK. I had this procedure with Mr Gault earlier this year and wanted to convey my sincere appreciation for the quality of care and excellent outcome. Before embarking on this procedure, I was determined to find the best possible surgeon even if it meant travelling abroad. "I would definitively recommend him if you're considering cosmetic ear surgery." I was very glad, however, to discover that one of the best specialist ear reconstruction surgeons in the world, works here in the UK. Through research on the Internet I read a lot about Mr Gault's professional profile. His world class credentials and extensive experience seemed to speak for themselves and I decided to go ahead with the procedure. Mr Gault didn't let me down. He understood exactly what I aimed to achieve and was able to bring about the results I'd hoped for. I can now say that thanks to his high level of specialist skill, I'm very pleased with the outcome! Undergoing ear surgery with Mr Gault has been a very positive experience. It's evident to me that he adheres to very high standards of expertise and care in his work. I feel that the ear reduction procedure I experienced with Mr Gault's , justifies his world renowned reputation as a leading expert in his field. 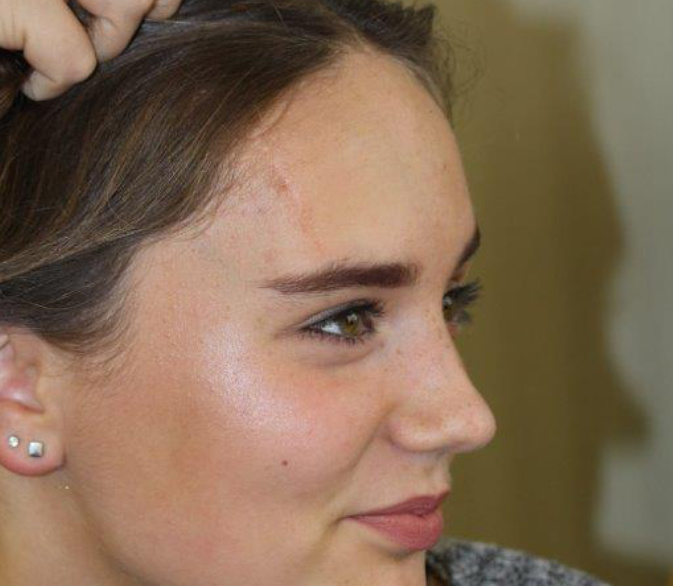 Would you kindly pass on to Dr Gault that *******'s ears (operation done on the 22nd April) are healing nicely and we had lots of complements on what a great job the doctor had done and that the ears look very "natural". I had otoplasty with Mr Gault a few weeks ago. My ears are quite small and were not ridiculously bad before but one of my ears was much more prominent than the other and required reshaping. I am absolutely thrilled with the results and would 100% recommend him. He is extremely considerate and openminded (not forgetting humorous!) and is of course a very skilled surgeon so if you want the job done properly he is the man to go to! My right ear was not round shape and I felt like I could not wear my hair up and needed to correct this. I made my research and was extremely careful with choice of surgeon. I have visited 2 different surgeons and one of them told me that he could do it but I would not like the results, so I waited for nearly 10 years before i went to see someone else about it. Then I found out about Dr Gault, who is a specialist in this area and also does sculptures as a hobby. The problem is that all everyone knows is prominent ears and I needed someone who could sort my problem, that was not prominent ears - Dr Gault was the man for the job. I am extremely happy with the results so far and would highly recommend him. I read reviews about him at first, and people said that he was a big headed person who would completely disregard your opinion and would not listen. That was not the case for me at all. Very considerate, open minded, yes he has ego but he is also a perfectionist in his work. My anesthesiologist told me that he is very serious about his job and always looks for ways to improve. So far my results are good. And I have attached the pictures. Very pleased with the results so far. He is very good specialist in ear area and if you are serious about getting it done only once, I think he is the man for the job. I heard mixed reviews about him but I cannot fault him in the result or the way he treated me throughout the process. I was a patient of yours way back on June 15th 2004. You very skillfully repaired my microtia and I’ll be forever thankful for the transformation that occurred in my life. I have enjoyed a full life of blending in without having people look past me at my ear. 12 years on, the ear still looks great! Thanks again for the work of your expert hands. I’m forever grateful to the artist and sculptor that also practiced surgery. 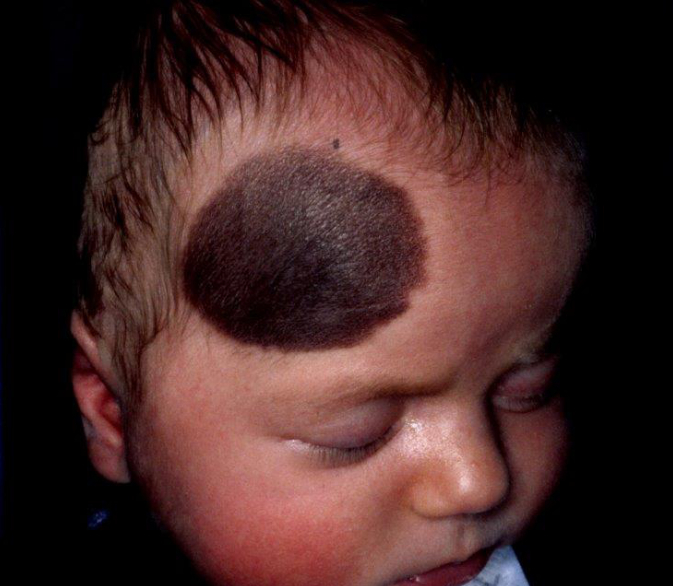 You may remember our daughter who was born with a melanocytic naevus on her forehead in 2001? We first came to see you when she was 8 weeks old and you performed seven serial excision operations on her over a period of a few years. She had her 13th birthday last week! We can't believe how time has flown and how our beautiful baby has grown into a gorgeous (if hormonal!) teenager. We think of you often and remain eternally grateful for your skill and expertise, at a time when it seemed that no one else was able to help. 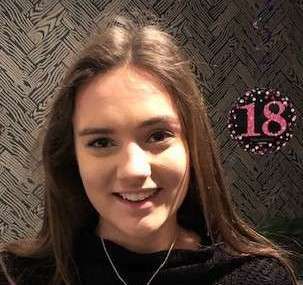 She is sociable, outgoing and confident - something we feared may never have been possible for her. I am more than pleased with what Mr.Gault has done for me & he is a true artistic Ear Surgeon. Please feel free to submit your review using the form below. All reviews will need to be approved before being featured on this page.